Its a spinoff of the "American Pickers" series on the History Channel - I just love watching Mike and Frank comb through old barns, garages, and even a packed school bus looking for antiques to sell in their Antique Archeology Store. Super Fun. What I like about Picker Sisters is that they find old rusty metal and turn it into furniture or fixtures for the home. They REPURPOSE!! Give it new life, they are so creative in their designs, I cant help but be motivated. SOOOOO......How does a show like this motivate someone like me who makes repurposed jewelry? Repurposed from an old drawer pull- It is divine in itself, then I took an old broken necklace and hung it from the bottom! Is this fabulous or what? Good grief - I can't WAIT!!! I'm going to be your picker sister - picking through all of your FUN COOL CREATIVE GENIUS wares!!! Fabulous and WHAT! BTW...now I want to see photos of you in your city shorts and full-on makeup scrounging around for your supplies! Brilliant! OMG!! 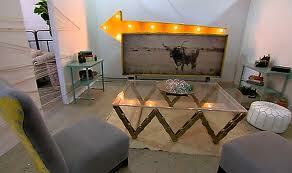 I'm in love with the chandelier and the arrow sign art. But your drawer-pull necklace is such an inspiring piece! It deserves to win an award! Blessings on all your creations..keep inventing! Robelyn, Watch the show! 22 Days!!! LOL! Absolutely beautiful pieces! Are these for sale? God, I love them! What kind of tools do you use? I am collecting my own stash of pieces and parts too! I should have plenty to keep me busy this winter!!! GREAT designs!! I LOVE Picker Sisters!! My husband started to pick fun at the show a little (He´s an American Pickers" fan) and then started to get interested! They are SO entertaining! Haven't heard of Picker Sisters ~ where have I been?! But I'm a huge fan of Mike & Frank (met Mike at his shop when vacaying in Iowa last year!). Your work is just amazing ~ super creative and cool! I'm especially in love with the necklace you made from the drawer pull!